This parish church was known as the church of St Columba or Kilcolmkill (Cill More – Great Church) in Quinish and was one of seven medieval parish churches annexed to the Iona Abbey early in the 15th century. The only remaining evidence of this church are low grass covered mounds, which are probably parts of the south and east walls of a small rectangular building. It was probably similar to the ruined chapel at Penngown. 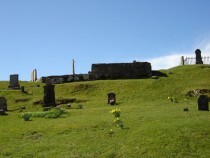 The ruins lie within the old burial ground at Kilmore on the hill just outside the village of Dervaig on the Tobermory to Dervaig road. The church was dedicated to St Columba, but after the Synod of Whitby in 663 it came under the rule of the Roman Catholic Abbot of Iona, St Adomnan. 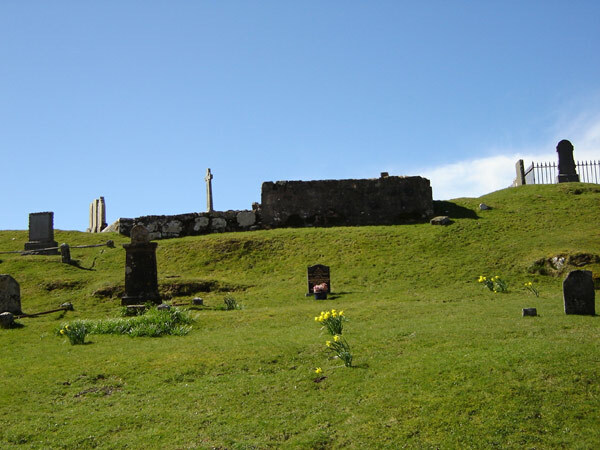 There are records stating that in 1449 tithes from Kilcolmkill were paid to the Abbot of Iona. 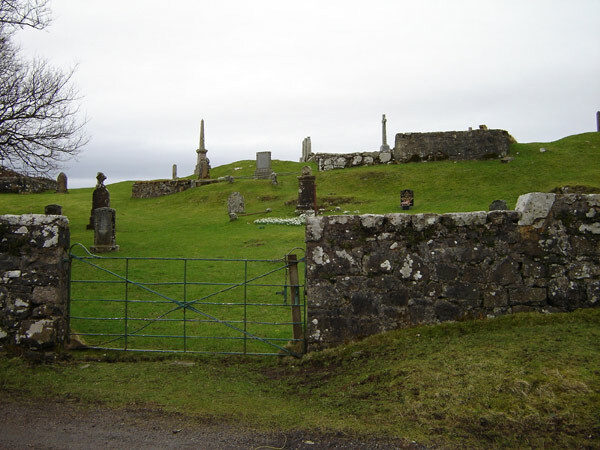 In 1628 Kilcolmkill and Kilninian parishes were joined together and this church continued in use until 1754 when a new church (Kilmore Parish Church) was built nearby. From c. 1649 until 1756 three ministers have been recorded. The second incumbent was the Rev. John Beaton (c. 1640 – c. 1708/15), the second son of the famous physician family from Pennycross, near Pennyghael. It was during his service here that in 1690, after 30 years of Episcopacy, Presbyterianism was finally established in Scotland. Beaton did not conform. In 1688 he had written a poem on the Revolution of 1688 and the silencing of the Episocopalia in Mull and in 1700 was removed on grounds of his immoral conduct. 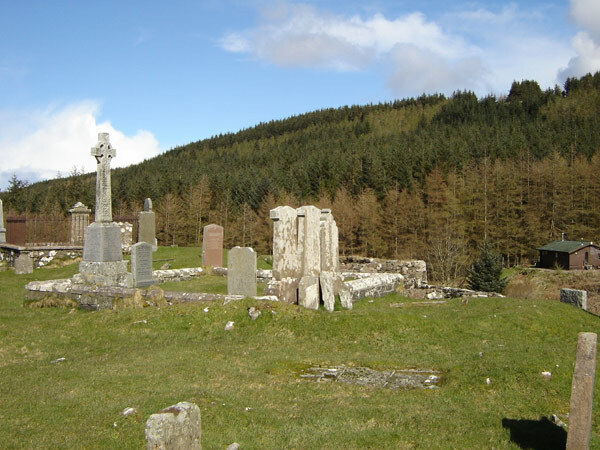 It was during the time of the next incumbent, John Maclean, that in 1749 there was an agreement between the heritors (landowners) for the necessity to build new churches in Kilninian and Kilmore. However, nothing was achieved until late 1755, when building began on both churches. By this time John Maclean’s son Alexander was the Minister. In the burial ground are several interesting grave stones and slabs from the 16th and 17th centuries, and, although most of them are illegible, a few inscriptions, crests and shields can be discerned. In the centre of one slab, which is believed to be 14th – 15th century of the Iona school, is a sword lacking the hilt and on each side of the blade are double plant-scrolls. At the foot is a pair of shears. By the entrance gate are several graves of unknown sailors, victims of wars at sea, whose bodies were washed up in the surrounding beaches and coves.